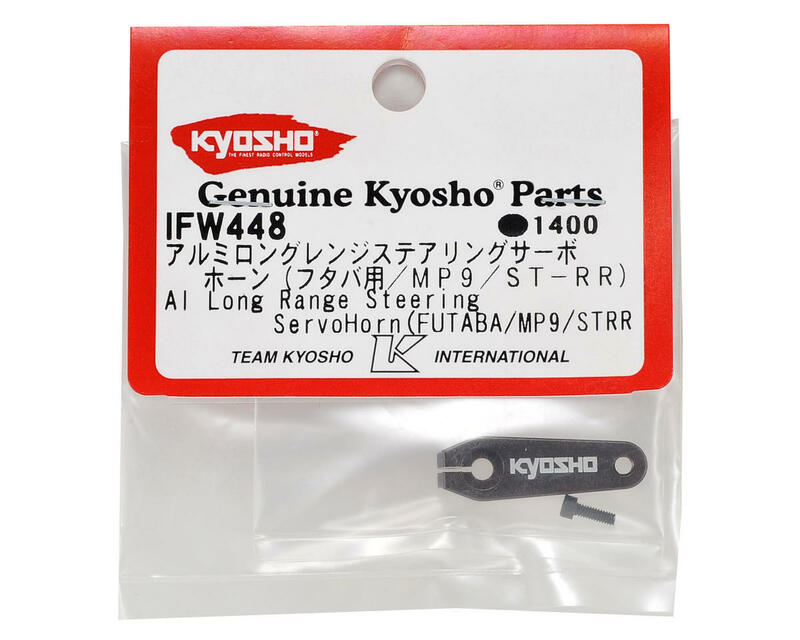 This is an optional Kyosho 25 tooth Aluminum Long Steering Servo Arm. This aluminum servo horn is compatible with all MP9/ST-RR series vehicles and is 2mm longer than the standard horn, for an increased steering feel. 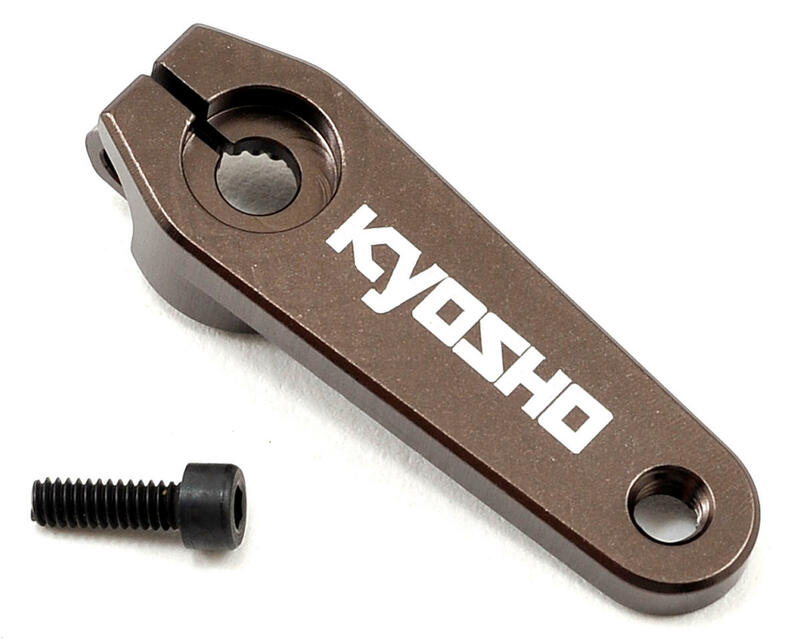 The horn is 30.5mm long and 2.5mm thick, and features a clamping design for added security, and a laser etched Kyosho logo.